Ilex verticillata ‘Red sprite’ (dwarf winterberry) grows 3’ to 5’ tall in moist to wet soils in full sun to part shade. 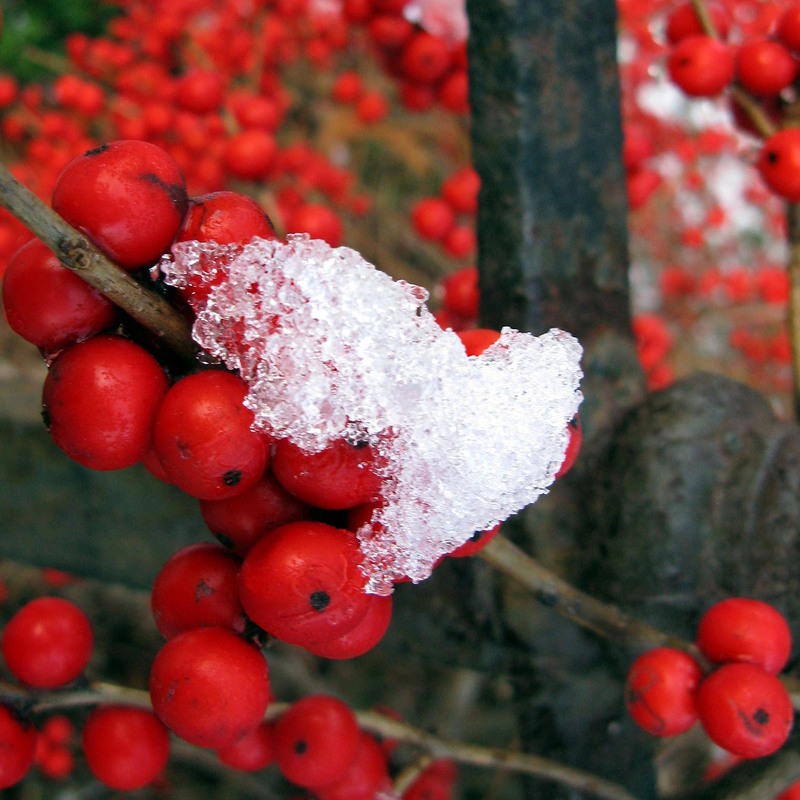 Its red berries brighten the winter landscape and are enjoyed by many bird species. Photographed at the Glencarlyn Library Community Garden; copyright Judy Funderburk.